Access hard-to-reach workpieces and drill deeper holes with these extra long bits. All bits are made from high speed steel, which is the most common choice for general-purpose drilling applications. 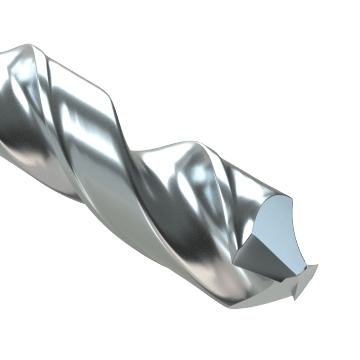 They are well-suited for drilling into soft steels, carbon steels, wood, plastic, and nonferrous metals such as aluminum, brass, bronze, and copper. Bright (uncoated) finish is a smooth, polished finish that allows for efficient chip removal. 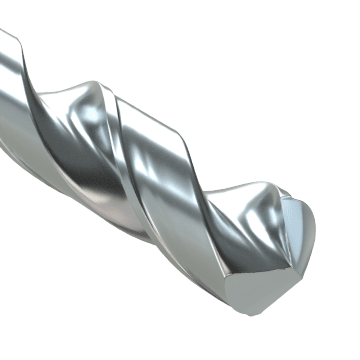 It's a good choice for everyday drilling applications, particularly in softer materials such as aluminum, wood, and plastic. Black oxide coating increases wear resistance for extended tool life and helps retain lubricants, improving chip flow and drilling performance. This coating is recommended when drilling ferrous metals and should not be used on nonferrous metals. Also known as aircraft extension bits, these bits have a longer overall length than a jobbers length bit but with the same flute length. They provide more reach than a jobbers length bit and better rigidity than a taper length bit. 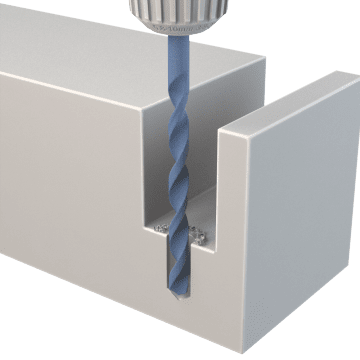 With a longer overall length than a jobbers length bit and a longer flute length than a jobbers length bit or an aircraft length bit, taper length drill bits can drill deeper holes than jobbers length or aircraft length bits but are more prone to breaking. 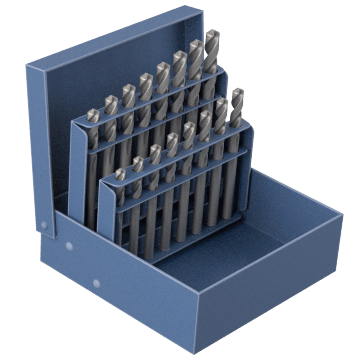 Containing extended-length drill bits in a range of sizes, these sets allow you to drill holes of various sizes as your tasks change.